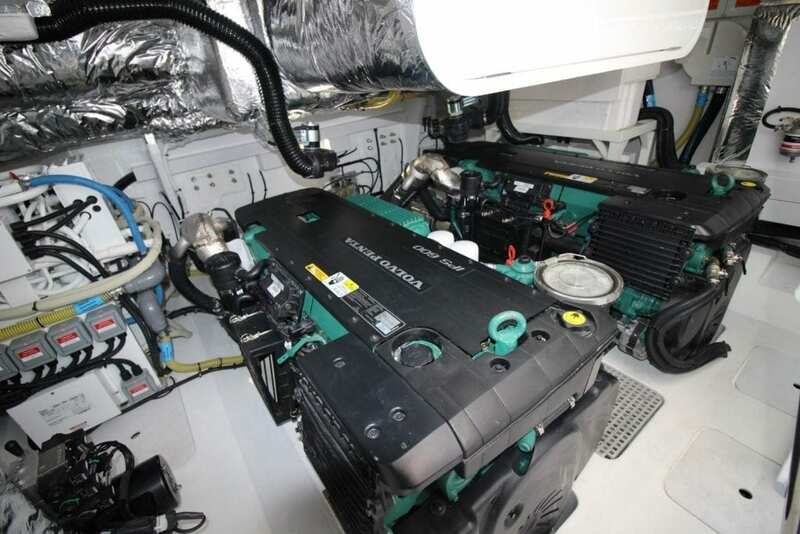 Look at any luxury yacht spec and you’ll see vessel propulsion power described in hp, in other words ‘horsepower’. What, exactly, does horsepower mean? How do horses, speed, weight and power relate to yachts? And how can you apply that knowledge to your yacht buying investigations? Here’s what you need to know. The horsepower unit belongs to the traditional English foot-pound-second or FPS system. Usually used to reveal the rate at which mechanical energy is expended, it originally meant 550 foot-pounds per second, which meant one hp measured 746 watts or 0.746 kilowatts. While mechanical horsepower, also known as Imperial horsepower, measures around 746 watts, metric horsepower is around 735.5 watts. The term horsepower came about in the late 1700s, thanks to the Scottish engineer James Watt who wanted to compare the output of modern steam engines with old fashioned heavy draft horses. Apparently, while working with pit ponies, he discovered an average pit pony could do 22,000 foot-pounds worth of work per minute. He then boosted the number arbitrarily by 50% to pin down one horsepower as 33,000 foot-pounds of work per minute, or 550 foot-pounds per second, the measurement we still use today to describe the available power in cars, boats and even some lawn mowers. In reality most horses can only manage 50% of Watt’s 33,000 foot-pound rate, and one horsepower doesn’t equal the strength of one horse. An average work horse achieves a maximum of just under 15 hp at a sprint, while a human at peak production achieves around five horsepower. Interestingly, a horse exerting 1 horsepower can lift 330 pounds of coal 100 feet per minute, 33 pounds of coal 1000 feet in one minute, or 1000 pounds 33 feet in one minute. To measure horsepower, you have to multiply the torque of an engine by its speed, using the mathematical formula (RPM * T) / 5252=HP, where RPM is the engine speed, T is the torque, and 5252 means radians per second. The torque is measured using a dynamometer, and it’s easy to convert torque to horsepower – all you do is multiply the torque by rpm/5,252. What is metric horsepower, MHP? Metric horsepower might seem like a contradiction in terms, but it’s an important distinction. You might notice a slight difference between European and US hp figures. In the USA they use the US Standard Unit and in Europe and the UK we tend to use the metric system. We replace pounds with kilograms of force and feet with metres to provide a figure of 75 metre-kilograms of force per second. That means one metric hp is equivalent to about 0.9863 hp, 10 Metric hp equates to 9.8632 hp, and 2500 Metric hp is the equivalent of 2465.8 hp. You can calculate it yourself if you enjoy maths. Otherwise you can simply use one of the many free converter websites that let you enter one way of measuring and immediately see the equivalent. Convertlive.com is a good one. The stunning Princess 85 motor yacht has a total power of 3850 hp thanks to its magnificent twin Caterpillar C32A 1925 hp diesel engines. That’s an awful lot of horses. But what does it mean in practical terms? How fast does this sleek superstar actually travel over the water? 3850 hp delivers the power you need for an impressive cruising speed of 25 knots and an awe-inspiring top speed of 28 knots. If you want to know what that means in miles per hour, visit our post about the subject. The Princess 70 motor yacht – How fast does she go? 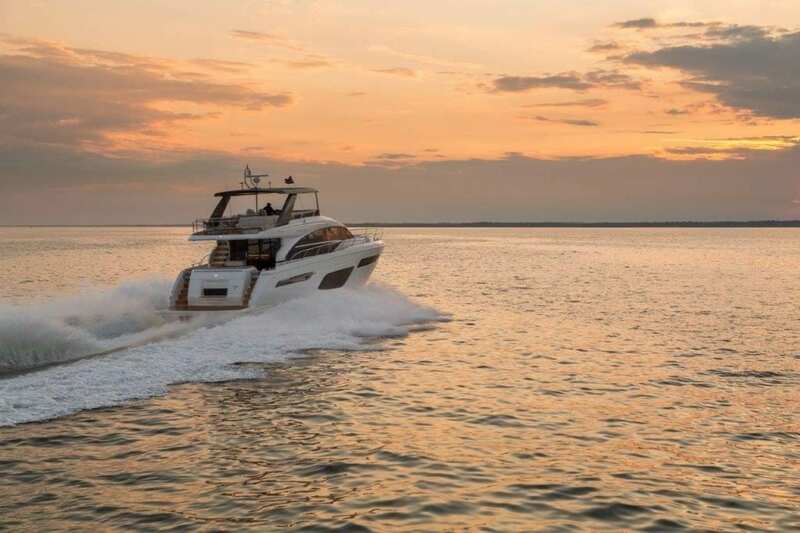 The spacious, smooth, super-quick Princess 70 features the latest in contemporary flybridge design as well as a choice of diesel engine configurations. 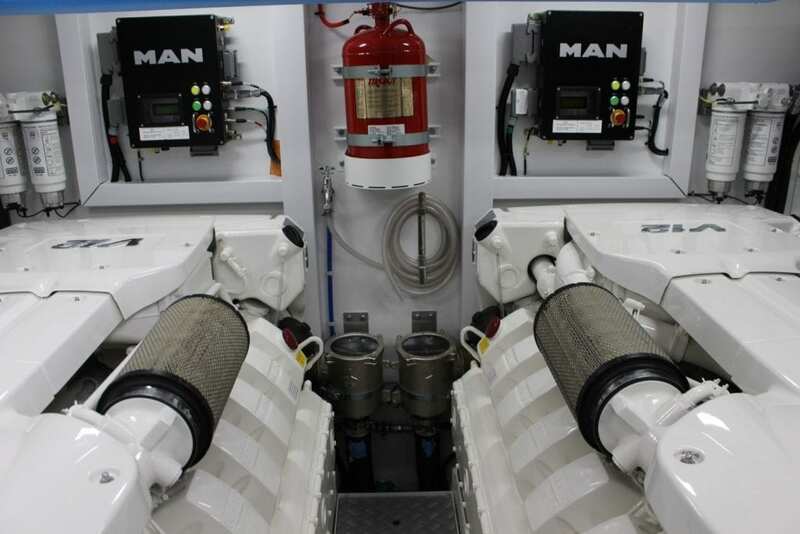 The powerful MAN V8 option with its two 1200 mhp engines delivers a dazzling maximum estimated speed of 31-33 knots via an 882 kW output, and the MAN V12 version with two 1400 mhp engines gives you a maximum estimated speed of 34-36 knots via an output of 1029 kW. The engines are powerful but quiet, incredibly reliable, and feature low fuel consumption… unlike several thousand actual horses! The world’s biggest diesel engine delivers an astonishing 109,000 hp. It’s called the Wärtsilä RT-flex96C, and is the world’s most powerful engine. It has 14 cylinders which, together, create 80,080 kW of power and it weighs a remarkable 2,300 tons. How do you fancy that on the back of your yacht? At 44 feet high and 90 long, its massive torque is so powerful it could destroy an armoured tank. So what does this behemoth do for a job? It’s operating on board the vast Emma Mærsk cargo ship, a beast so big it carries eleven thousand 20 foot shipping containers with ease, at a speed of 31 knots, mostly carrying goods between the USA and China. Which Princess yacht has the biggest engine? 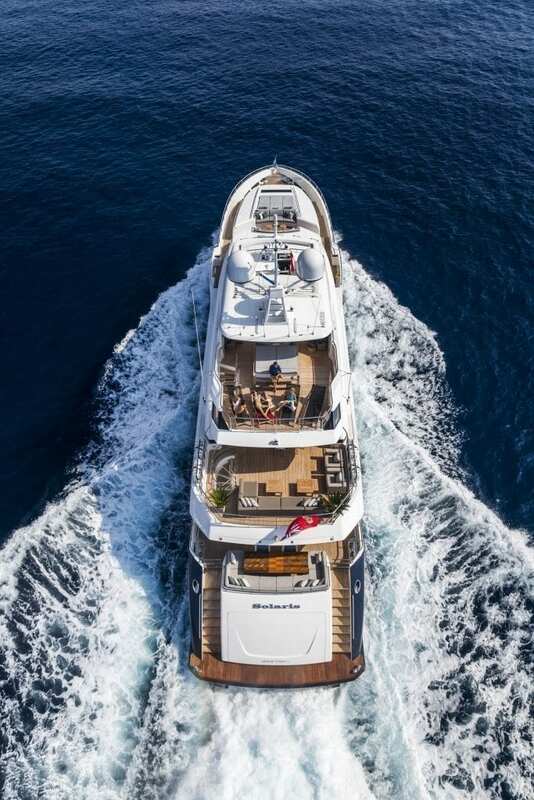 If ‘big’ pleases you most of all, the Princess 40M superyacht’s whopping eight metre beam delivers loads of internal space for as many as 12 guests. But for powerful-engine lovers the two gorgeous MTU 12V 4000 M93L engines, each delivering 3508 mhp, are the stars of the show, giving you a wonderfully fast top cruising speed of 21-23 knots, impressive for such an enormous vessel. For help and advice please contact one of our team at Princess Motor Yacht Sales at: sales@princess.co.uk or +44 (0)1489 557755.